When Zynga came knocking to purchase OMGPOP last week, the entire team was offered a job at Zynga. Turns out, not everyone was delighted with the idea of compromising their morals and ethics and working for the controversial company. Shay Pierce, a developer and small stakeholder in OMGPOP, thought Zynga was asking too much, and pretty much sums the company up as being evil. Zynga was requiring new employees to sign contracts that were quite onerous. 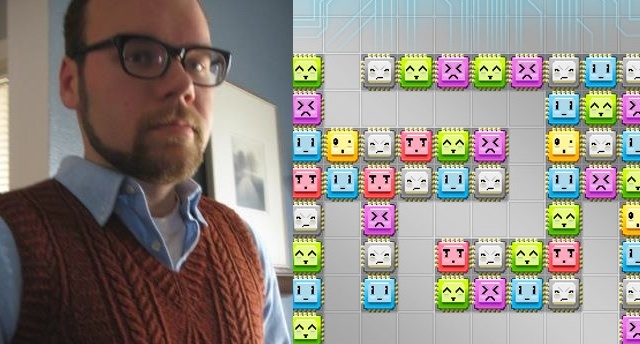 Pierce requested some addendums be added to the contract so that he would be able to retain ownership of a game he created in his spare time (Connectrode), while off the clock at OMGPOP. Zynga was having none of it, and completely denied Pierce’s request for protection. Nine hours after filing the changes with Zynga, the company completely rejected Pierce’s offer, leaving him no choice but to leave Zynga’s offer on the table. Why are we writing about this? Well, we think you should know. More importantly, we want to publicly praise Pierce for not compromising his values for a couple of extra dollars. It’s not every day that happens in this industry. We would also like to encourage you to purchase Connectrode, Pierce’s game and his sole source of income currently. Let him know that the community appreciates his decision to stick it to Zynga. God knows Zynga sticks it to everyone else every chance they get. We also recommend reading the entire article over at Gamasutra; it’s worth the read.